As kids, we've all fantasized about growing up and becoming rich and famous. But for celebrity kids, success is something that they're born with. Celebrity children haven't only benefited from their parents' wealth. Thanks to their already well-known names, some of these Hollywood kids are carving out their own slice of fame and making money off their talent. Here are 29 of the world's richest and most famous celebrity children. Her father, actor Tom Cruise, has a reported net worth of $450 million, according to the CelebrityNetWorth. And her mom, actress Katie Holmes, has a net worth of $25 million. So, it makes sense that since her birth, the now 9-year-old Suri Cruise has been living the good life. According to the Daily Meal, Tom and Katie spent $100,000 for Suri's second birthday, including $17,000 on flowers, $45,000 on food from Wolfgang puck, $5,000 on a cake and $230 on cupcakes. For her fifth birthday, Suri's budget was reportedly $20,000. Suri reportedly has a wardrobe full of expensive designer goods as well, including a shoe collection allegedly worth $150,000, a source told Star magazine. But, it now seems that despite her parent's riches, the pint-sized fashionista lives a relatively normal life. Katie deliberately purged her daughter's wardrobe of designer goods in favor of clothing more suited to her little girl, reports Marie Claire U.K. Daughter of renowned rapped Kanye West and reality TV star Kim Kardashian, North West is only 2 years old. But, she's already enjoying the benefits of being born into one of Hollywood's most noted families. Little North, or "Nori" as she's called, is already quite the fashionista and can regularly be spotted in the front row of big-name fashion shows and out-and-about in designer duds. 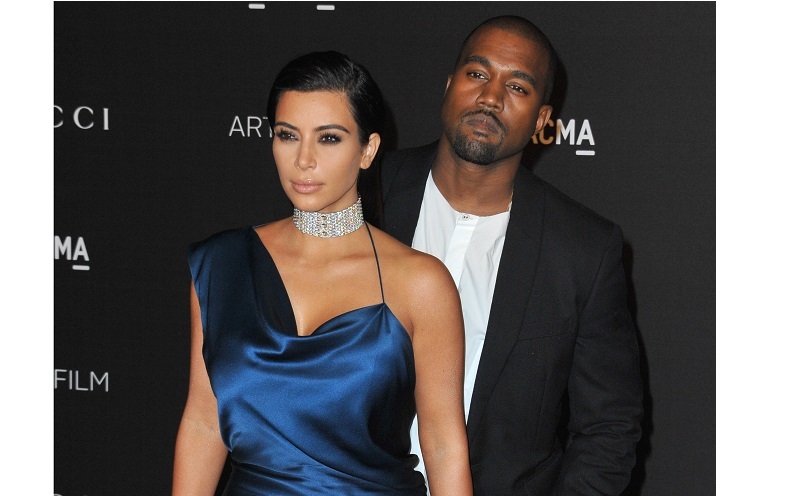 Kanye is reportedly worth around $130 million while Kim's net worth is $85 million, according to CelebrityNetWorth. The couple, who is expecting Baby No. 2, have gone all out for North in the past: Kanye dropped $74,000 on North for Christmas last year, buying her a $62,000 diamond-encrusted tiara and a $12.000 toy black SUV, according to the Daily Mail. By no means is Kanye done spending money, though: North is expected to receive a huge fortune when she reaches the legal drinking age. Hollywood Life reports Kanye is planning to give his daughter $10 million when she turns 21. Related: How Much Will Kim and Kanye Spend on Their Second Baby? The Jolie-Pitt kids have definitely benefited from their parent's career success. Actor Brad Pitt is worth around $240 million, while actress Angelina Jolie's net worth is $145 million, according to CelebrityNetWorth. So, their combined net worth is an outstanding $385 million. And at least some of those earnings can be attributed to their kids, with the couple earning $4.1 million for Shiloh's first baby pictures in 2006 and another $14 million for photos of the twins Knox and Vivienne in 2008. And how much does it cost to raise this brood of six? Well, HollyBaby reported in 2011 that the couple likely spend around $10 million per year on their kids. This includes $5 million on private jets so they can take the kids around the world with them and close to $2 million on private tutors and nannies. According to the Daily Meal, the couple also spent $20,000 on Zahara's princess party and $7,000 on a luxury river cruise for Pax's seventh birthday. If you expect the child of the music industry's hottest couple to live a charmed life, then you'd be correct. With her music mogul parents, Jay Z and Beyoncé, worth a combined $1 billion, according to CelebrityNetWorth, Blue Ivy has enjoyed a life most of us can only dream of -- from private jets to exotic holidays and an enviable wardrobe. She's also enjoyed some pretty lavish parties. For Blue's first birthday, Jay Z and Beyoncé spent $200,000, forking over $95,000 on pink and white roses and more than $2,000 on the cake. They even reportedly spent $30,000 on toys and gifts for the guests, according to Radar Online. But Blue received the best present of all: an $80,000 diamond-encrusted Barbie doll. Jay Z and Beyoncé continued the tradition of extravagant birthday parties for Blue. They rented out Jungle Island, a wildlife and botanical park in Miami, for her second birthday, reports the Daily Meal. And Blue celebrated her third birthday with a "Frozen" themed party complete with an ice sculpture. Will Smith made a name for himself as a rapper and actor on "The Fresh Prince of Bel-Air," but he found even more fame -- and wealth -- with his starring roles in blockbuster films like "Hancock" and "The Pursuit of Happyness." He's now worth an estimated $220 million, according to the CelebrityNetWorth. His wife and fellow actress, Jada Pinkett-Smith, has a $20 million net worth. The couple's teenage children are already carving out a name for themselves in the music and film industries. Willow Smith has begun her career as a singer, with her first single "Whip My Hair" reaching No. 11 on the Billboard Hot 100 charts. CelebrityNetWorth reports Willow's net worth at a cool $4 million. Jaden Smith, on the other hand, already has a net worth of $8 million, largely due to his roles in "The Pursuit of Happyness" with Will and his leading role in the 2010 remake of "The Karate Kid." Last year, the twins were spotted on a shopping spree with J. Lo in Paris, reports the Daily Mail. And according to the Huffington Post, Maximilian and Emme stayed in an entirely different wing in the house J. Lo and Marc lived in. They also had 600-thread-count Egyptian cotton linens in their crib and diamond rattles, along with a Shetland pony -- each. With parents as cool as Gwen Stefani and Gavin Rossdale, you'd expect these three boys to display a small amount of rock star behavior -- especially since Gwen is worth $100 million and Gavin has a net worth of $35 million. But, these kids are not as spoiled as some of the other kids on our list. The most lavish spending we could find on any of the three boys is Kingston's birthday party. For his fourth birthday, Gwen and Gavin spent $15,000, reports Us Weekly. And his eighth birthday party last year was held at the beach and featured A-list guests, according to the Daily Mail. Christina Aguilera has two kids: Max with former partner Jordan Bratman and Summer with current fiancé Matt Rutler. With a net worth of $130 million as a singer and mentor on reality show "The Voice," Christina certainly loves to spoil her kids. The singer spent $35,000 on Max's nursery, reports The Richest. His nursery included Paddington Bears, Nintendo characters and more. David Beckham is now retired from professional soccer, but he's still worth $350 million, reports CelebrityNetWorth. His wife, Victoria Beckham has a net worth of $300 million. For oldest son Brooklyn's sixth birthday, The Richest reports the couple spent close to $200,000 on a 16-foot-tall brick playhouse and adjoining play castle. Daughter Harper has been wearing designer clothing since before she could walk, and her first birthday party reportedly cost £50,000 (about $79,000), according to The Huffington Post. And before Harper was born, David and Victoria bought the boys a $50,000 tree house as well as an $187,000 playhouse. Music mogul Sean "Diddy" Combs goes all out for his children. For Justin's 16th birthday, Diddy gave his eldest son a $360,000 silver Maybach. Contact Music reported in 2007 that he also bought a bunch of jewelry for his twins, Jessie and D'Lila. "You start buying the gifts like the earrings and the necklaces and the bracelets," he said. "... I bought it for them for now." Diddy can afford to lavish these sorts of gifts on his children. CelebrityNetWorth reports that his net worth is $700 million. When Elton John and his partner David Furnish had their first son in 2010, it was certain that the little boy would want for nothing. In 2011, the couple reportedly turned an entire apartment adjoining their L.A. home into Zachary's nursery, spending $2 million, reports the Daily Mail. Elton once told the publication that for Zachary, he and David bought so many presents that they had to ship the unopened ones to an orphanage in Ukraine. "The sitting room was full, floor to ceiling, with presents," said Elton. "Two hours later we had barely scratched the surface and David said, 'This is obscene. No child should have this.'" Elton has a net worth of $450 million, reports CelebrityNetWorth, and David is worth $50 million. The 7-year-old is the splitting image of her mom, actress Salma Hayek. And Salma and Valentina's father François-Henri Pinault, billionaire and CEO of luxury goods empire Kering, certainly know how to spoil their little princess -- and they can afford to. Salma's net worth is $85 million, reports CelebrityNetWorth. And François is worth a whopping $5 billion. Hollywood Life reports Valentina has a $12 million L.A. estate held in trust, which costs François $50,000 a month. Yahoo Finance also reports Valentina has attended art galas in Italy and has vacationed in St. Bart's. In 2011, Salma told Allure magazine, "I never understood the point of being privileged if you don't get to have the privileges. Like, people who won't take their kids to an expensive restaurant, or won't travel with them, or make them pay for everything at a really young age." She added, "I think it's important that kids have responsibilities and understand the value of things, but I think it's great that my daughter gets to travel the world." With a mother like Rachel Zoe, Skyler and Kaius are already well on their way to becoming fashion superstars. In fact, Skyler received his first Louis Vuitton bag worth $1,700 when he was just 4-months-old, along with a $3,000 Alexander McQueen diaper bag and a limited-edition $1,298 Missoni stroller, reports Hollywood Life. Rachel's net worth is $10 million, according to CelebrityNetWorth. Her husband and businessman Rodger Berman, who works alongside Rachel at her company, is worth $5 million. She didn't marry a mega-star like Kanye, but Kim's older sister Kourtney Kardashian still has the cash to splash on her three kids. Kourtney's net worth is $25 million, and the father of her kids, Scott Disick, has a net worth of $12 million, according to CelebrityNetWorth. For her youngest daughter Penelope's first birthday, Kourtney created a whimsical garden party at mom Kris Jenner's mansion, replete with a piglet, a horse dressed as a unicorn and 30 huge balloons that cost $150 each, reports the Daily Meal. The children of former model, fashion director and reality TV star Kimora Lee Simmons and business magnate Russell Simons certainly don't have to worry about money. Kimora Lee, who recently gave birth to Baby No. 4, has an estimated net worth of $50 million, according to CelebrityNetWorth. Russell's net worth is a whopping $340 million. Ming and Aoki reportedly attend a prestigious school for the intellectually gifted called the Mirman School in Beverly Hills, reports the Daily Mail. Tuition costs $27,460 for lower school and $30,270 for upper school. The 4-year-old twins of diva Mariah Carey and TV personality Nick Cannon were being spoiled before they were even born. In an interview with Life & Style magazine when she was pregnant with the twins, Mariah revealed that she had spent $100,000 decorating their nursery. The cost included a pair of $30,000 cribs and a fresco ceiling. Hollywood Life reports the now-divorced couple also spent $1 million on baby gear in preparation for the twins' arrival. Mariah's net worth is $520 million, reports CelebrityNetWorth. Her recent split with ex-husband Nick-- himself worth $50 million -- might see some of her fortune whittled away. Life & Style recent reported Nick wants $50 million from Mariah. It seems only yesterday that Lourdes Leon was skipping around London holding mom Madonna's hands. Nowadays, Lourdes is at college at the University of Michigan, and her life at school couldn't be more different to living with a celeb mom. Forbes reports Madonna's 2015 estimated net worth is $520 million. However, in an effort to be a normal college student, Lourdes has shunned the lavish apartment life that some of her peers have done in favor of staying on campus in a shared room that costs only $8,000 to $14,000 per year, reports the Daily Mail. Their parents might have "consciously uncoupled," but Gwyneth Paltrow and Chris Martin have managed to stay fairly close for their children. In fact, the Daily Mail reported Chris bought a house across the street from Gwyneth so he could remain close to the children. Gwyneth's a net worth is $60 million, and Chris has a net worth of $90 million, reports CelebrityNetWorth. Despite their combined net worth of $150 million, they haven't really spoiled the kids. Splurging for their children means being allowed to nosh on food truck hot dogs at Moses' eighth birthday party. Taylor Armstrong, former star of reality show "The Real Housewives of Beverly Hills," went all out for daughter Kennedy's fourth birthday party. She hired a party planner to create a lavish tea party, complete with floating teapots of flowers, a teacake and cupcakes served on elegant china. The total bill came to $60,000, reports E! News. Taylor has a net worth of $400,000. She also reportedly earned $175,000 for each season she was on "Real Housewives," reports CelebrityNetWorth. The "90210" star and daughter of producer Aaron Spelling is well-known for throwing lavish parties for her kids, despite the fact that her and actor husband Dean McDermott are reportedly having financial issues. Last year, Tori Spelling threw daughter Stella a $6,000 spa-themed party for her eighth birthday, reports Hollywood Life. Tori Spelling has a net worth of $1.5 million, and Dean's is $1.5 million as well. Bilingual singer Ricky Martin has a net worth of $60 million, according to CelebrityNetWorth. And the 6-year-old twins of the Latino superstar are certainly used to the celebrity life, traveling with their dad as he tours the world. The stylish kids fly with their father by private jet and get backstage access at his concerts, reports the Daily Mail. Pop star Britney Spears had a rough time when she split with partner and father of her two boys, Kevin Federline, in 2006 and then losing custody in 2007. Billboard reported in February that Britney had regained primary custody of her sons. For their third and second birthdays, Britney threw a joint truck-themed party. The boys rode around in customized Ed Hardy mini cars (similar toys go for as high as $450), and the party also featured a truck-shaped cake. Yahoo Celebrity reports that for her sons, Britney prefers to shop at Lands' End, M Fredric Kids, The Children's Place and Gap Kids. According to CelebrityNetWorth, Britney is worth $150 million. But, Yahoo lists her net worth at only $46 million. The youngest of the Kardashian clan, 17-year-old Kylie Jenner shot to fame thanks to "Keeping Up With the Kardashians." Kylie comes from a wealthy family -- mom Kris Jenner is worth $30 million while former Olympian father Caitlyn Jenner (formerly Bruce Jenner) is worth $100 million, reports CelebrityNetWorth. Kylie's net worth is already $5 million. When she was just 15, Kylie was driving around in a $125,000 Mercedes-Benz G-Class SUV, reports The Huffington Post. But, it's likely that the lavish gifts from her family ended soon after, with Kylie recently revealing that she's been supporting herself financially for the last few years, according to the Daily Mail. Earlier this year, Kylie reportedly bought herself a $2.7 million mansion in Calabasas, Calif.
Four-year-old Flynn Bloom has lived a jet-set lifestyle, regularly traveling with model mom Miranda Kerr and his actor father Orlando Bloom. Although Miranda and Orlando each have a net worth of $35 million, according to CelebrityNetWorth, they don't seem to go over-the-top for little Flynn. Miranda told Us Weekly that for his first birthday, she made him a gluten-free cake and had "a lot of balloons." Fashionista Nicole Richie and her rocker hubby Joel Madden have two gorgeous little kids -- Harlow, aged 7, and Sparrow, 5. The couple has a combined net worth of $26 million, according to CelebrityNetWorth. When it comes to the kids' birthdays, the couple is only too happy to indulge their children. For Harlow's fifth birthday, Nicole and Joel rented a bungalow at the Beverley Hills Hotel -- where rates ranged from $1,500 to $5,320 a night during that time, reports Us Weekly. After the death of their father six years ago, Michael Jackson's children have lived a relatively quiet life, given how high-profile their early years were. Prince, Paris and Blanket (the latter who reportedly changed his name to Michael after years of bullying) share an $8 million yearly allowance, reports the New York Post. The $8 million is in addition to the $1 million-plus their grandmother, Katherine, receives for the children's expenses. Prince's tuition is reportedly $30,000, and it costs six figures for Paris to attend a therapeutic boarding school. Prince has reportedly spent $50,000 on custom-made jewelry for three girlfriends. For her son's second birthday, Charlize Theron threw a farm party complete with farm animals, while Jackson's first birthday was a superhero theme party at LA kiddie space The Coop. Us Weekly reports the party included lollipops, jelly rings, superhero cupcakes and champagne -- for the parents, of course. Charlize, who is raising Jackson on her own, is worth $110 million, reports CelebrityNetWorth. The 7-year-old daughter of actress Halle Berry and her ex, Gabriel Aubrey, has been spotted wearing high-end clothes since she was a baby, including a $135 ruffle baby shirt, reports The Richest. Halle has amassed a net worth of $80 million, according to CelebrityNetWorth. Gabriel, meanwhile, has a net worth of $4.5 million. As one of Hollywood's highest-paid actresses -- she has a net worth of $200 million, according to Forbes -- Sandra Bullock dotes on son Louis, who she adopted as a three-month-old in 2010. According to Us Weekly, Sandra is building up Louis' art collection, purchasing a Andy Warhol "Peaches" print at a charity auction for $14,000 as a gift to her son in 2011. And The Huffington Post reports the actress was spotted carrying a $1,000 monogrammed Louis Vuitton diaper bag when Louis was a baby.